Little Rocket Woman Rides Tsunami Crest To Victory! Little Rocket Woman Rides Tsunami Crest To Victory! Little Rocket Woman Rides Tsunami Crest To Victory! Guess what? True to form, the Asian Women’s Golf Tsunami has struck again! This week, pint-sized Japanese phenom Nasa Hataoka (pictured) blasted her way to win the 2019 Kia Classic LPGA Tournament. She romped home with a total score of 18-under par after shooting a 5-under par round for the day on Sunday. 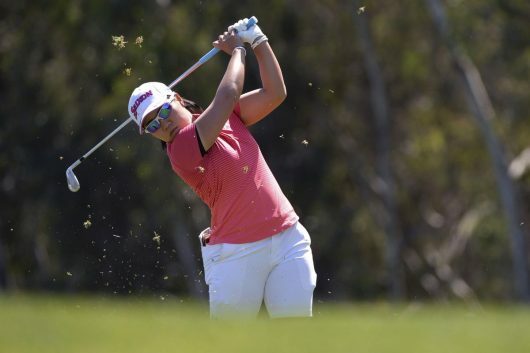 Hataoka, just 20 years old, was three strokes clear of a pack of four who were tied for second place and amongst this group was the past world number one Inbee Park and the current number one Sung Hyun Park who finished at 15-under par. True to form, the Asian stars continue to stamp their dominance on the women’s professional game and this is a trend that is expected to continue for some time to come. A total of seven Asian stars occupied slots on the top ten leaderboard.